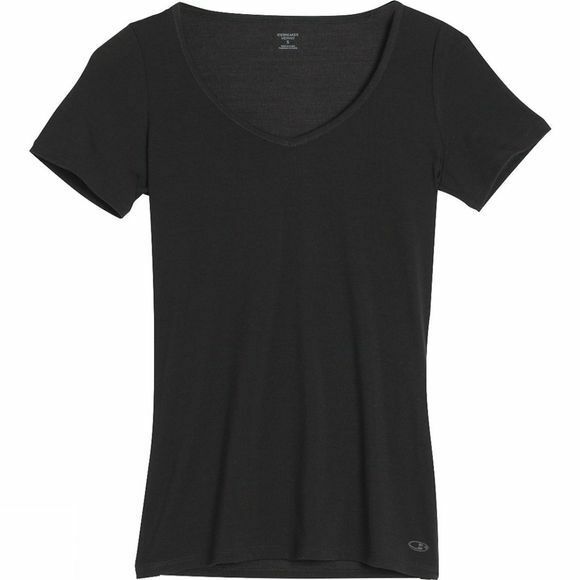 A soft and stretchy women's tee with an updated fit and fabric that makes it even more comfortable, the Women's Siren Short Sleeve Sweetheart is made with Icebreaker's corespun fabric. Corespun uses nylon fibers wrapped in Merino wool for added strength and durability that retains next-to-skin softness. Ideal for year-round use whether traveling, hiking, or relaxing after a big day outside, the Siren Short Sleeve Sweetheart also features a flattering neckline and a fit that's perfect for everyday comfort and layering.